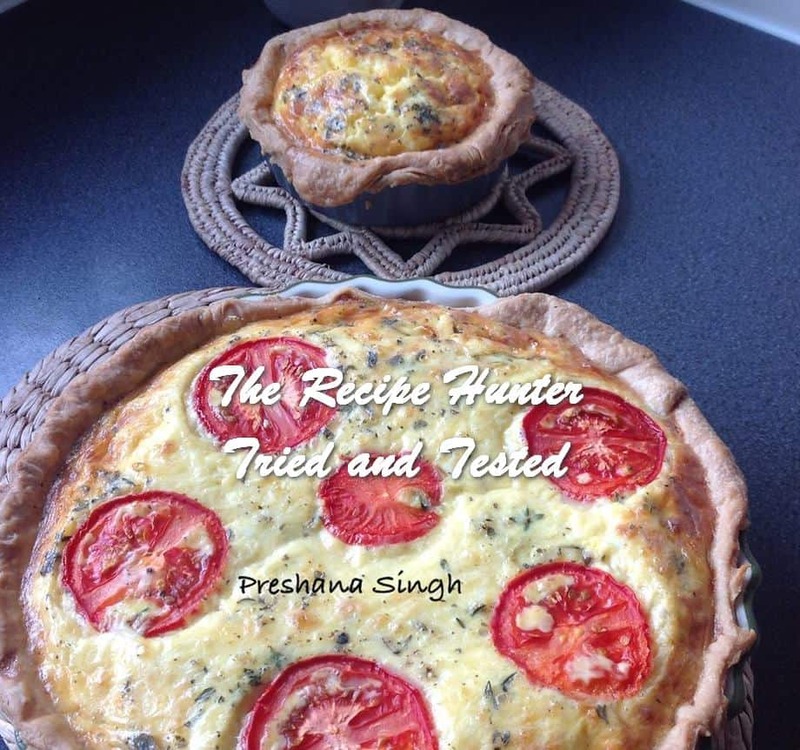 I adapted the recipe for cheese and bacon Quiche (Pillsbury) to suit my families dietary needs. I made a small Quiche for my daughter without the veggies. Heat a frying pan, add the cubed pieces of pepperoni, sauté for 2 minutes then add the rest of the veggies. In medium bowl, mix the milk, cream, eggs, salt, pepper and herbs ,set aside. Layer veggies, cheeses over the pastry case and pour the egg mixture over top. Place slices of tomato over the top. Bake 40 to 50 minutes or until knife inserted in center comes out clean. Let stand 5 minutes; cut into wedges.